CORVALLIS, Ore. – “Singu-hilarity: A Robot Comedy Variety Show” will take the stage April 19 at Corvallis’ Majestic Theater, 115 SW Second St. 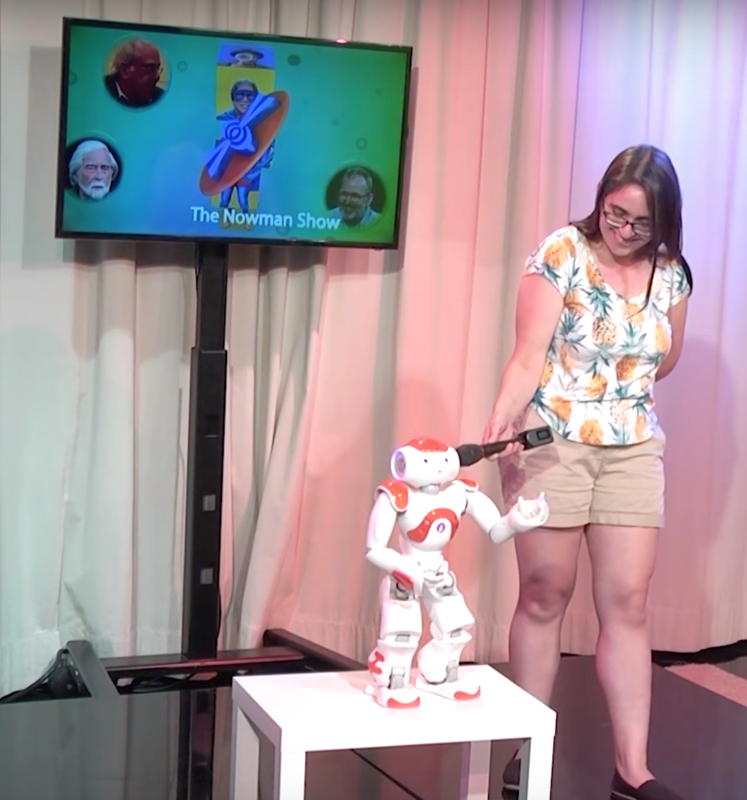 Produced by Naomi Fitter, assistant professor of robotics in the College of Engineering at Oregon State University, the show will feature Jon the Robot, Ginger the Robot, SpiderHarp and the Robot Aquarium. Mathematics Ph.D. student Sarah Hagen will also perform, as will various members of OSU’s Collaborative Robotics and Intelligent Systems Institute. The Irrelevant Podcast comedy team will be part of the show as well, “focusing on nerdy themes from the podcast hosts’ lives,” Fitter said. The show starts at 7 p.m. Tickets cost $10 and are available online. In conjunction with Singu-hilarity, Fitter will install a robotic art piece in the Majestic gallery. 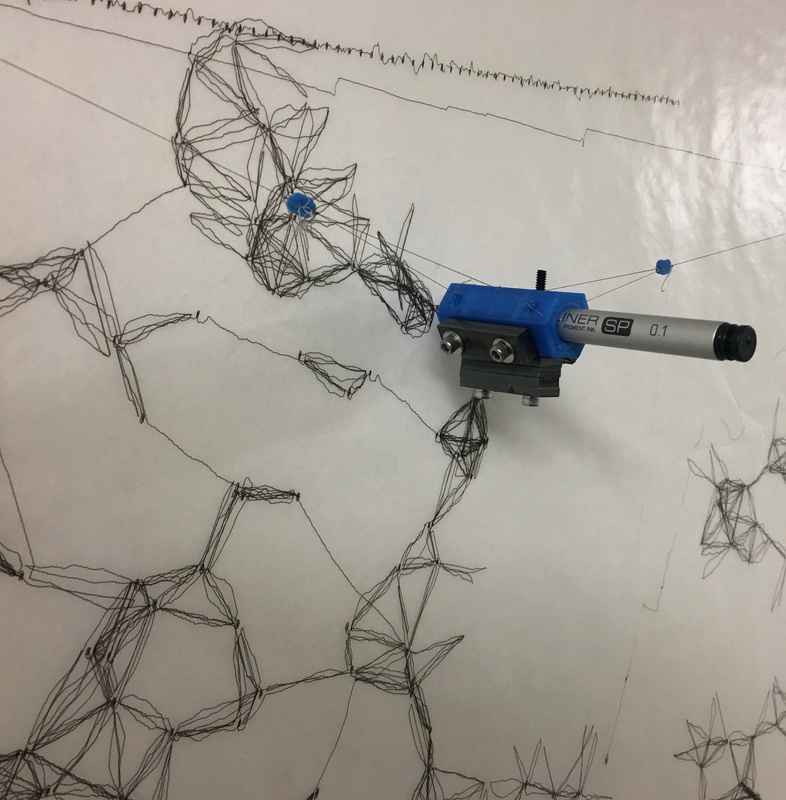 The “drawing robot” will be accompanied by other robots or robot-generated art pieces from April 15 to April 19. About the OSU College of Engineering: The OSU College of Engineering is among the nation's largest and most productive engineering programs. Since 1999, the college has more than tripled its research expenditures to $37.2 million by emphasizing highly collaborative research that solves global problems. It is a leader in signature research areas, including precision health, clean energy, resilient infrastructure and advanced manufacturing; and targeted strategic areas, including robotics, materials research and clean water.